Register to win a ton! A new winner is announced each month. We’ll keep you warm this winter. Register to win a ton of North Country Wood Pellets courtesy of Michigan Wood Fuels. North Country pellets are made from Michigan hardwoods like White Oak, Red Oak and Maple. 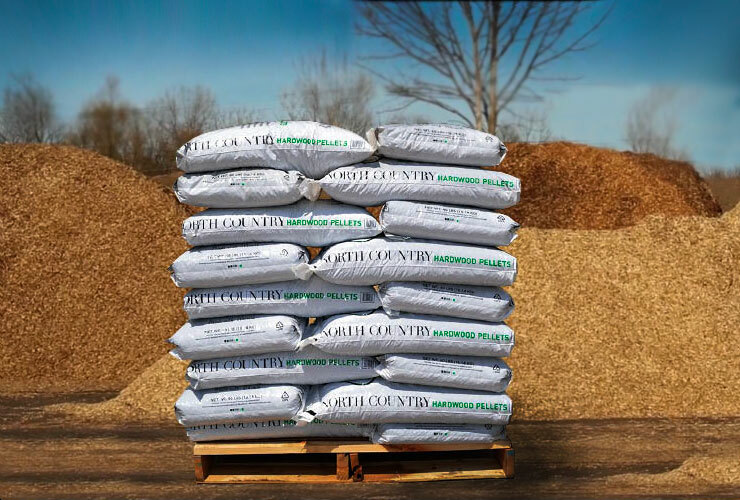 Our pellets burn efficiently with minimal residual ash. Simply fill out the form below and we’ll take care of the rest. Winners are announced each month. Take our survey (It only takes a minute). You’ll be automatically registered to win one ton of North Country Pellets. How many tons do you typically buy each heating season? What characteristics are most important to you in pellets? How many years have you used wood pellet fuel? Do you use wood pellet fuel as your primary source of heat, or does it supplement another heating source in your home? Rules: Only one entry per street address and per person.Previous winners may not re-enter. Only Michigan residents are eligible to win. Winning may come in the form of a gift certificate to a local pellet retailer, depending on the winner’s location.